Chrome OS becomes a workable operating system on various notebooks. 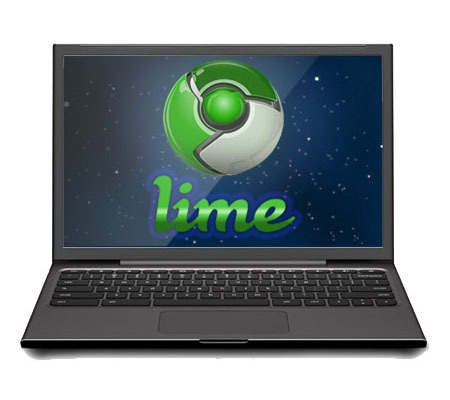 Thanks to Hexxeh's Lime build Chromium OS which is so far the best Chrome OS for offering extra WiFi hardware support like Broadcom, Ralink, Realtek, and the Nvidia GPU. If you have just installed a Chromium OS, the following post-install to-do list will set you off to a flying start with your new Chromebook. Chrome Browser Settings is the settings of your computer operating system. You should take some time to look around the settings and change it to your preferred Chrome behaviour. 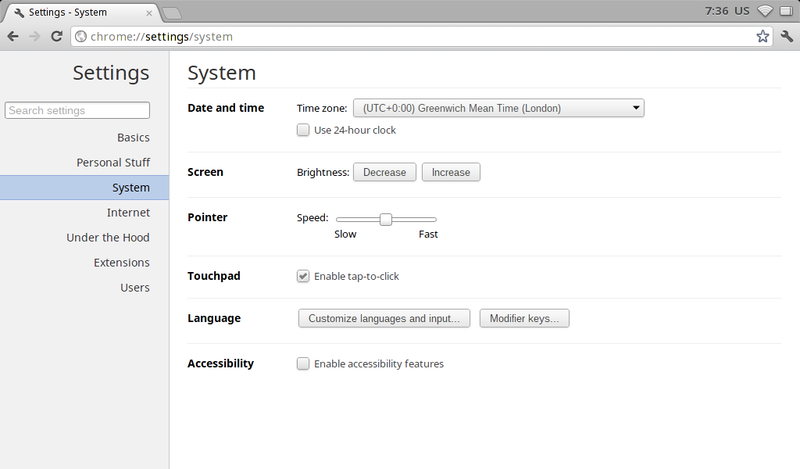 You can change the time zone, screen brightness, pointer speed, enable touchpad tap-to-click, system language and add more input languages in System Settings tab. 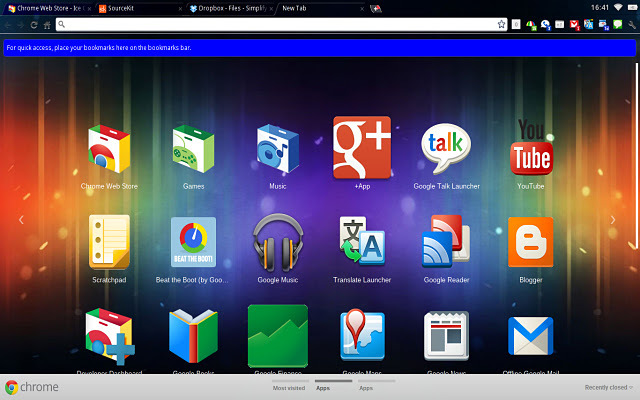 You can find countless beautiful and stylish Google Chrome official and free third-party themes on Chrome Web Store to alter the appearance of your new Chrome OS. Knowing some shortcut keys will come in handy when using Chrome OS. 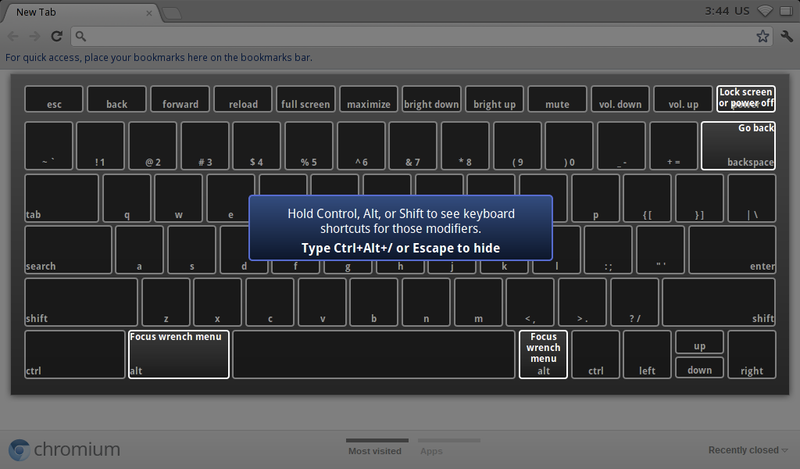 Press ctrl + alt + / keys will toggles a keyboard overlay that shows the function of all the shortcut keys used in Chrome OS. Chrome OS is a web savvy choice: Browse the Internet, chat with your friends on Facebook and Google+, watch videos on Youtube and play around with the Google Chrome Extensions. Google Chrome also includes crosh shell, a command-line interface that accepts common Linux commands. You can use its built-in SSH to connect servers. These are the few things I do after installing it. Feel free to comment below to tell me what's yours. tap-to-click didn't work on my HP mini 210 even I've enabled it if I remember correctly. It causes me to prefer mouse.